When we’re young, we’re taught to brush our teeth in a specific way, but for some reason we are never taught again! With many things in life a little refresher can help to make sure we’re on the right track and can help to cut out any bad habits we may have picked up along the way! So, with this in mind, I have put together a refresher list, to help you ensure your oral hygiene is on track! ​1. What’s the right toothbrush? As a dentist, I often see people with confused looks on their faces in the toothbrush aisle as with so many options to choose from, it can be difficult to know which size, shape or firmness to select. My advice? It’s fine to use either a manual or an electric toothbrush – whichever you feel most comfortable with. Firstly, be sure that the size of the brush head is small enough to reach all the areas that need cleaning. Secondly, look at the firmness of the bristles and choose something with a medium firmness. Too hard and you risk wearing your tooth away. Too soft and your cleaning won’t effectively remove all the plaque on your teeth. 2. Over-brushing is a real thing! 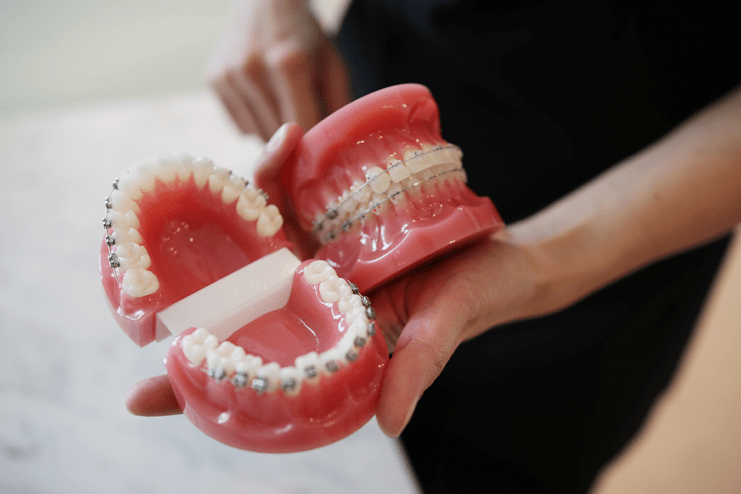 As a population, we’re now more interested than ever in having a great smile! As a result, I see numerous patients who have been brushing with a little too much enthusiasm! The point of brushing is to remove plaque, which is actually very soft, and so doesn’t require a huge amount of force. Brushing too hard has consequences, whereby you can actually wear away your enamel (which is the strongest part of your whole body!) leading to increased tooth sensitivity and irreversible tooth loss. You should ensure you are thorough with your brushing, but don’t feel the need to scrub too hard. Brushing is more about the technique you have, rather than the pressure you use! As soon as the bristles on your toothbrush start to bend or look worn, it’s time to change! If the bristles aren’t in a good condition, they will not work effectively. Ideally, your toothbrush should be changed every 3 to 4 months and when your brush is not in use it should be left uncovered. It’s important to brush your teeth for the full two minutes in order to ensure you are covering all the bases. Use a timer (on your phone or on your electric toothbrush) to ensure you’re cleaning for the recommended time. Imagine a line dividing the left and right side of your mouth, creating four quadrants (upper left, upper right, lower right, lower left). Spend 30 seconds focusing on each quadrant, covering it from all angles. This approach will enable you to ensure you’re cleaning your mouth evenly, and not just focusing on your favourite side due to habit. If you’re brushing your teeth for two minutes, but using the wrong technique, you’re just wasting your time. Many people are taught to brush in a long scrubbing motion just going back and forth, however this is incorrect. Instead, you should be brushing in small circles focusing on each tooth for a few seconds at a time. It’s important to ensure you cover all surfaces on the cheek, biting and tongue side in order to give your teeth a proper clean. Make sure you also brush the gum line. This is the most important area to clean, as it is where bacteria and plaque are housed. Your bristles should go slightly below the gum line. 6. Washing all the good stuff away! Do you rinse your mouth with water after brushing? If the answer is yes, then stop right there! If you’re rinsing after brushing you’re effectively washing away the fluoride in your toothpaste and fluoride is essential for preventing and stopping tooth decay. 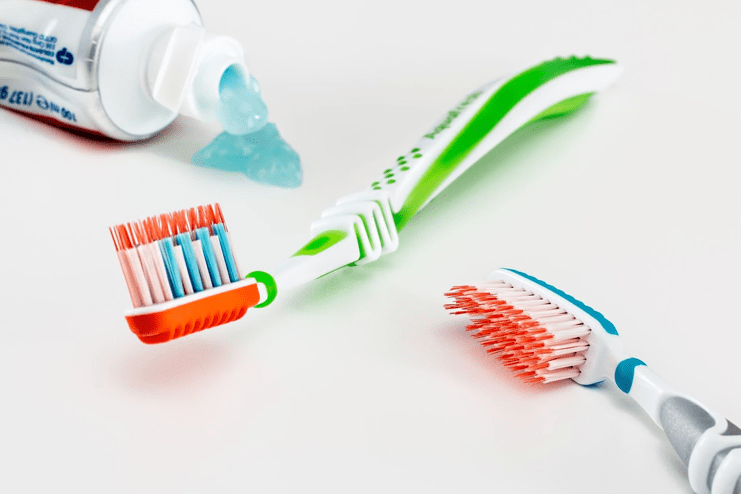 Instead you should spit excess toothpaste out after brushing as this will leave residual toothpaste on the teeth allowing you to experience the full benefit of brushing. If you use mouthwash, wait 10 minutes before using this to rinse. ​​7. Eat, drink, WAIT, brush, repeat! We’ve all been told how important it is to brush our teeth after eating, but it’s important to leave a window of time between eating and brushing. Food and drink contains acids which can wear away teeth and brushing so soon after will wear away the softer parts of your teeth. My recommendation is to wait 20 minutes before brushing your teeth after a meal as this will allow your teeth to re-strengthen and not be affected by the abrasiveness of brushing. So there you have it, that’s my quick toothbrushing refresher course! If you have any additional tips you would like to share, be sure to leave them in the comments below! If you’re interested in booking your next dental check up with me, click here to request a call back! An accomplished British dentist, Dr Neha Rathod graduated from The University of Birmingham in 2011. Upon completion of her training Dr Rathod initially spent time in the hospital environment, completing an Oral and Maxillofacial Surgery placement at Northwick Park Hospital, followed by a position at the world renowned Great Ormond Street Children’s Hospital in London. 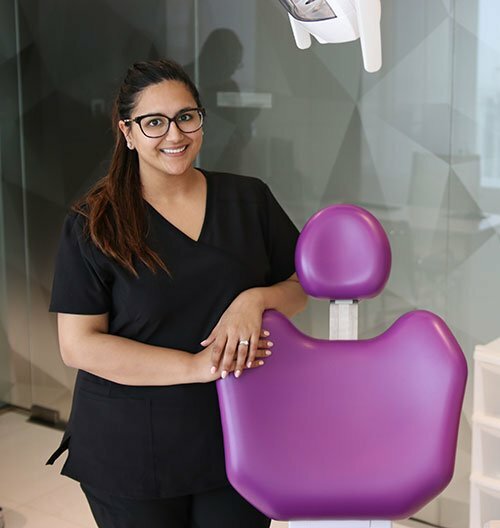 Alongside her clinical responsibilities, Dr Rathod is also a Dental Educator, frequently spending time mentoring newly qualified dentists as they enter general practice.